The Command Prompt has been around forever, and it’s still a great resource to have at your disposal. 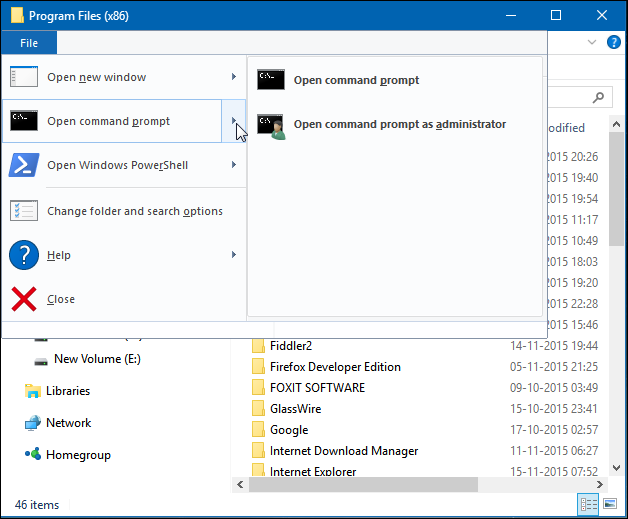 Today we’re showing you all of the different ways to open the Command Prompt. We’re betting you don’t know all of them. The Command Prompt is a pretty useful tool. It allows you to do some things quicker than you can do them in the graphic interface and offers some tools that you just can’t find in the graphic interface at all. And in true keyboard-ninja spirit, the Command Prompt also supports all kinds of clever keyboard shortcuts that make it even more powerful. While it’s easy to just open the Command Prompt from the Start menu, that’s not the only way to do it. So, let’s take a look at the rest. Note: this article is based on Windows 10, but the majority of these methods should work in earlier versions of Windows, too. Open Task Manager with more details. Open the “File” menu and then choose “Run New Task.” Type cmd or cmd.exe, and then click “OK” to open up a regular Command Prompt. You can also check the “Create this task with administrative privileges” to open Command Prompt as administrator. To quickly open a command prompt with administrative privileges from Task Manager, open the “File” menu and then hold the CTRL key while clicking “Run New Task.” This will immediately open Command Prompt with administrative privileges—no need to type anything. To open Command Prompt with administrative privileges, right-click the result and then click “Run as Administrator.” You could also highlight the result with the arrow keys and then press Ctrl+Shift+Enter. Open File Explorer, and then navigate to the C:\Windows\System32 folder. Double-click the “cmd.exe” file or right-click the file and choose “Run as administrator.” You can also create a shortcut to this file and store the shortcut anywhere you like. Press Windows+R to open “Run” box. Type “cmd” and then click “OK” to open a regular Command Prompt. Type “cmd” and then press Ctrl+Shift+Enter to open an administrator Command Prompt. Open command prompt. Opens a Command Prompt within the currently selected folder with standard permissions. Open command prompt as administrator. Opens a Command Prompt within the currently selected folder with administrator permissions. Right-click an empty spot on the Desktop. From the context menu, select New > Shortcut. 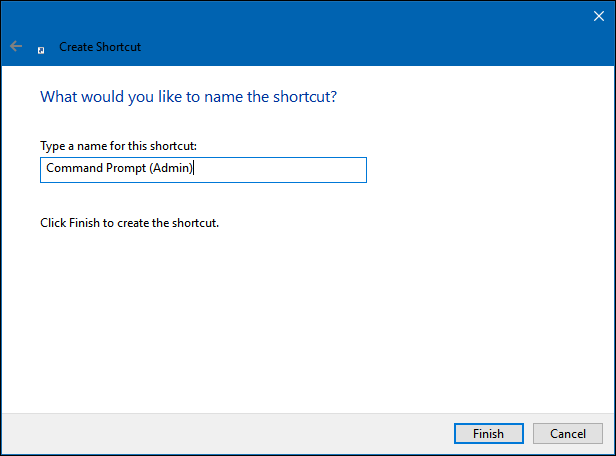 Now you just have to double-click the shortcut to open Command Prompt as an administrator.